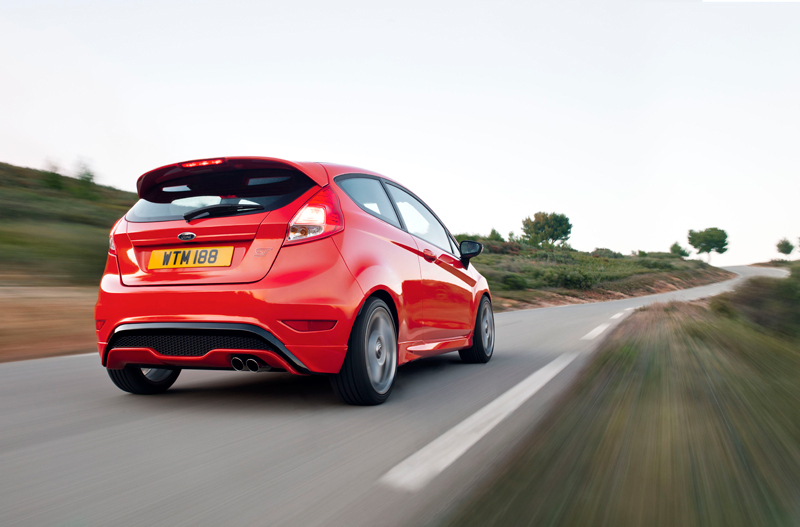 Feast your eyes on the European production version of the 2013 Ford Fiesta ST, the "hot" (aka turbocharged) version of the Fiesta hatchback, which is bowing at the Geneva Motor Show later this week. Although we don't know about a USDM variant, here's some info about the Euro version. It'll be powered by 1.6-liter EcoBoost engine making 177 hp (180PS) and accelerate from 0-62 MPH (0-100 km/h)in less than seven seconds. It'll have a top speed of 137 MPH (220km/h). It'll also have a torque-vectoring control system, a specially tuned chassis, and three electronic stability control settings. And yes, it's been extensively tested on the Nürburgring Nordschleife. the hardest track on Grand Turismo 5. According to the press release, "Ford remains open to the idea of introducing the high-performance small car to North America for the first time, following a positive response to the five-door Fiesta ST concept at the 2011 Los Angeles Auto Show." So does that mean it isn't a 100% guarantee that the U.S. will get a turbo Fiesta? So I guess we'll just have to wait and see. My money is on the fact that the U.S. will get the Fiesta ST, however, I'm going to bet it's a five door. I think the front end looks pretty good. However, the rear ... oh yes. I just love the new Ford grille. It may be a total rip-off of the Aston Martin grille, but at least they're copying a great looking brand. 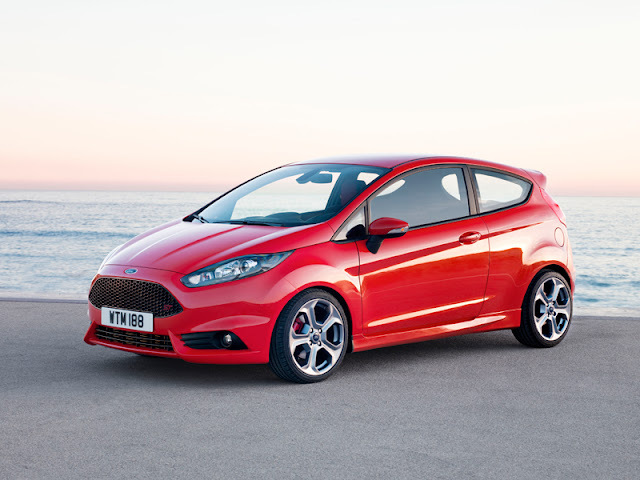 I do hope that we'll get the new Fiesta ST Turbo edition in the U.S as well. There is a big enthusiast/racing community here that will appreciate the extra power this car offers.